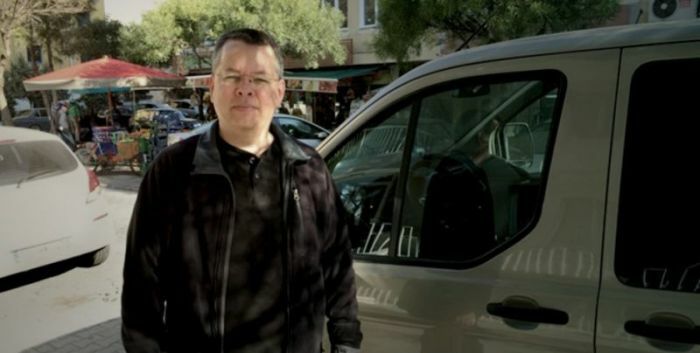 Hours before Brunson's case resumed on Friday, U.S. officials said that a deal had finally been reached with Turkish authorities, following months of behind the scenes negotiations. U.S. President Donald Trump strongly criticized his Turkish counterpart Recep Tayyip Erdogan over Turkey's handling of the case, and accused the Turkish courts of holding an innocent man behind bars. Erdogan insisted that Brunson had to be tried for his alleged involvement in terror schemes. The dispute between the two countries lead to economic penalties for Turkey. Erdogan had also demanded that the U.S. extradite Islamic cleric Fethullah Gulen, who Turkey blames for the coup, in exchange for Brunson, but the U.S. administration refused the deal. Trump issued a couple of short statements on Twitter immediately after news of the pastor's release broke, writing: "Working very hard on Pastor Brunson!" In a follow-up tweet he added: "My thoughts and prayers are with Pastor Brunson, and we hope to have him safely back home soon!" Aykan Erdemir, a former Turkish politician who served in the Grand National Assembly, provided several insights from the hearing on Friday on Twitter. He said that four witnesses that at first testified against Brunson changed their accounts, and have since denied any knowledge of his alleged links to the failed coup. "Of the four witnesses who earlier testified against Pastor #AndrewBrunson, one claims reading the allegations in the news, another says he was misunderstood by the judge, and the last two claim that they first heard the allegations from one another. What a travesty of justice!" Erdemir wrote. "Today's shocking developments in the show trial against #AndrewBrunson have provided further proof to my claim that the pastor was framed as part of a well-orchestrated plot involving false testimonies to be used as a bargaining chip as part of #Erdogan's #HostageDiplomacy." he added. Erdemir said that even in the wake of Brunson's freedom, justice will not have been served due to the poor way the pastor has been treated. "Ankara needs to issue an official apology, pay reparations, and prosecute all plotters who helped frame the pastor," he insisted.